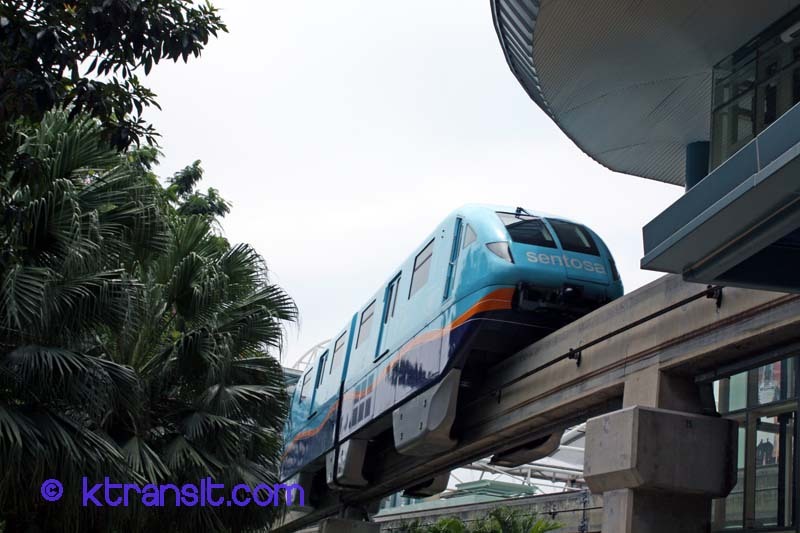 The Sentosa Express is a small Monorail system linking the main Island of Singapore with the resort island of Sentosa. Although you can uses the same EZ-Link Farecards as the MRT/Bus network, the monorail is a separate, and much higher fare ($4sin). MRT day pass is not accepted (I learned that the hard way). The line connects many of the resort Island amenities either directly or via connecting busses, which are free on the island. The trains used are small capacity monorail trains from Hitachi. Trains run about every 6~10 minutes.